The Modern 2 / Fusion E2 was designed to be a cross breed between the famous mr twin of the 80’s and the high performance thrusters of today. Filipe wanted a board for training in small mushy conditions and he asked for something different than what he rides on the tour. 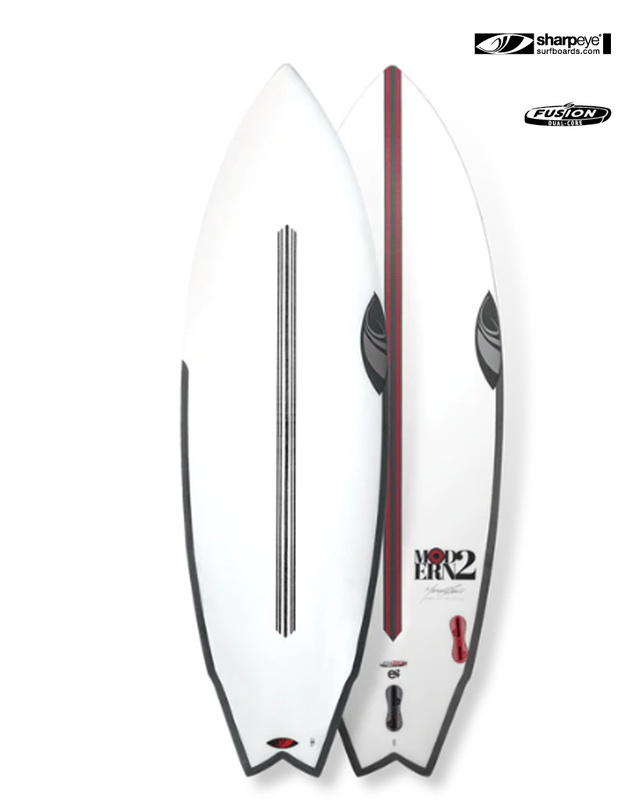 The Modern 2 has incredible speed and drive due to the combination of concave and rail shape. 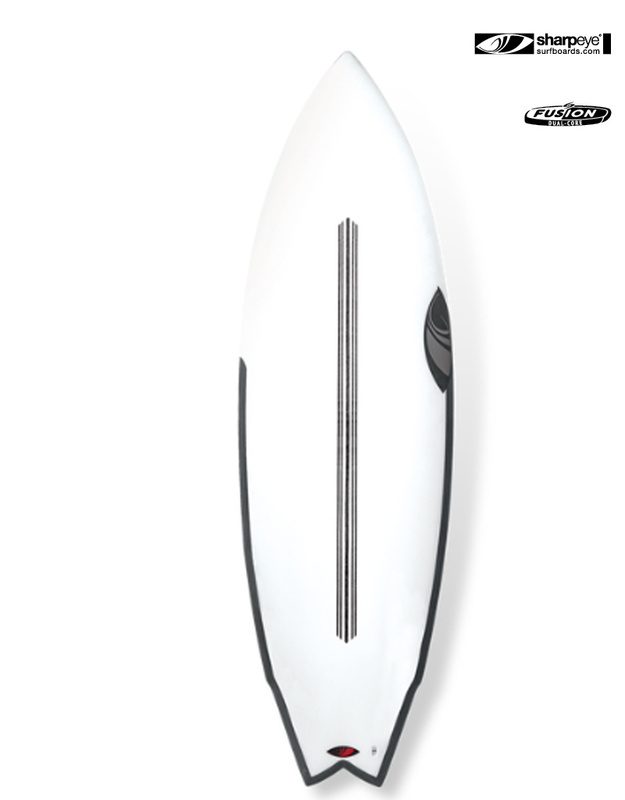 This board will change the way you surf small mushy to head high waves. 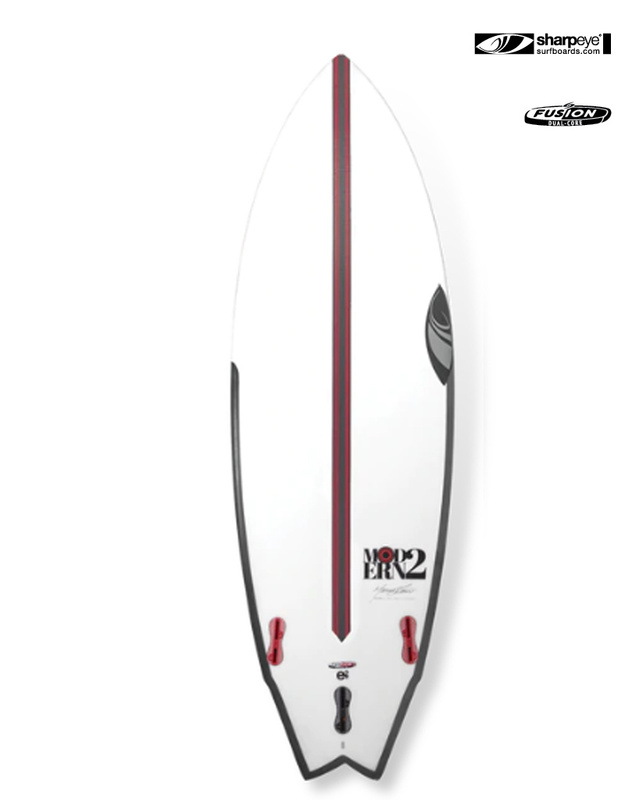 With Marcio's impeccable shapes and the introduction of Surftech's Fusion E2 which uses bi-axial glass and carbon the energy you put into these boards is dispersed faster and with more feedback than ever before.